Enjoy this complimentary Abs & Cardio guide to help you achieve stronger and tighter abs. 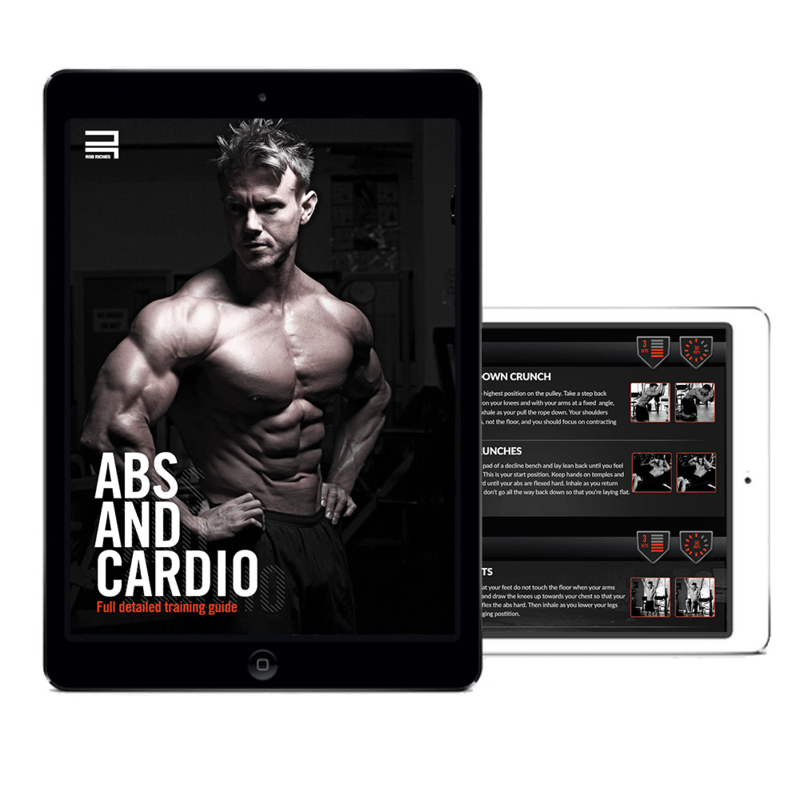 Within this Abs & Cardio guide, you will find two versions of abdominal workout routines, with descriptive images showing start and finish movements, and suggested sets and repetitions to follow. There is also a weekly calendar schedule that includes a suggested cardio routine, covering both low intensity, steady-state cardio, and interval-based, high-intensity cardio. All of the information within this guidebook has been developed and followed by Rob over the course of his competitive career and numerous photo shoots.